We are now able to offer our glassware on a daily or weekly hire basis giving our customers the flexibility to use glassware suited to every occasion. 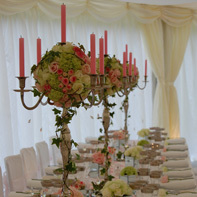 We also have a range of beautiful candelabras that make a fantastic centrepiece on a table or mantelpiece. 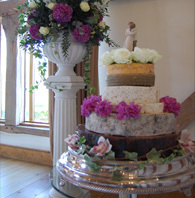 Our topiary trees are also available to hire, decorate them with fresh flowers, ribbon or butterflies to compliment your colour scheme. 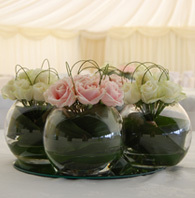 If you would like more information on our hire service please contact us to arrange a visit.